A marvelous guide to curiosity and wonder, full of brilliant and inspiring advice from two of our generation’s most accomplished naturalists. 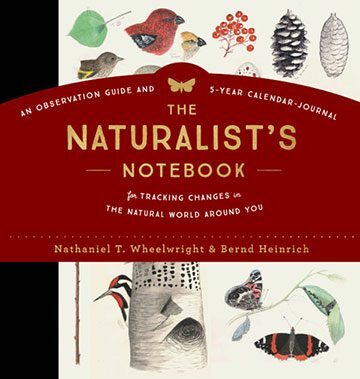 Whether you’re a budding nature lover or an expert naturalist, this outstanding guide is sure to ignite your curiosity and deepen your connection with the natural world. It’s a full dose of Vitamin N.
When it comes to protecting the lands and waters that sustain us all, individual actions can add up to a big impact. Wheelwright and Heinrich have created a unique and practical tool that will deepen anyone’s connection to nature — and underscore the urgency of the actions we all can take to protect it. There is so much around us, but seeing is a skill. It takes practice and a little devotion. A mentor helps as a guide to assist in framing your observational skills. In this book, two of the best possible mentors have given us just such a guide. Pay attention and use this book. You’ll have terrific fun with it.